Real Madrid manager Zinedine Zidane has suggested that he wanted to give Cristiano Ronaldo a much-needed break during the Madrid derby on Sunday. The Portugal international scored for the tenth game on the trot after he scored the opener from a Gareth Bale cross in the 53rd minute. However, the lead lasted for only four minutes before Atleti equalized with Antoine Griezmann. 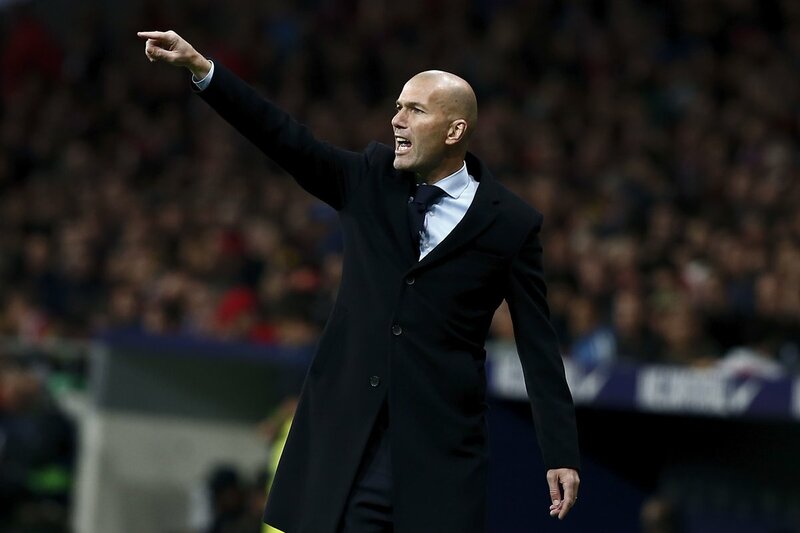 Real Madrid have a key Champions League quarter-final tie against Juventus on Wednesday night, and Zidane may have had one eye on Ronaldo’s involvement in the competition. Ronaldo’s brace ensured that Los Blancos clinched a comfortable 3-0 win over the Bianconeri on the road, but they are now in pole position to reach yet another Champions League semi-final. Despite their league woes, Los Blancos have found a way to success in Europe, and they find themselves with the opportunity of becoming the first side to bag three consecutive Champions League crowns. However, prior to that, they may have to contend with the likes of Barcelona, who have often tended to spoil their party, especially in the league. Aside from Barcelona, Liverpool and Bayern Munich have been tipped to reach the final four of the competition.